Get your taste buds hoppin’ with a new line of adorable character Candy Cubes and assorted chocolate creations. Make a classic basket with Sugarfina’s first-ever Chocolate Bunny, crafted in solid milk chocolate and presented in a keepsake box. 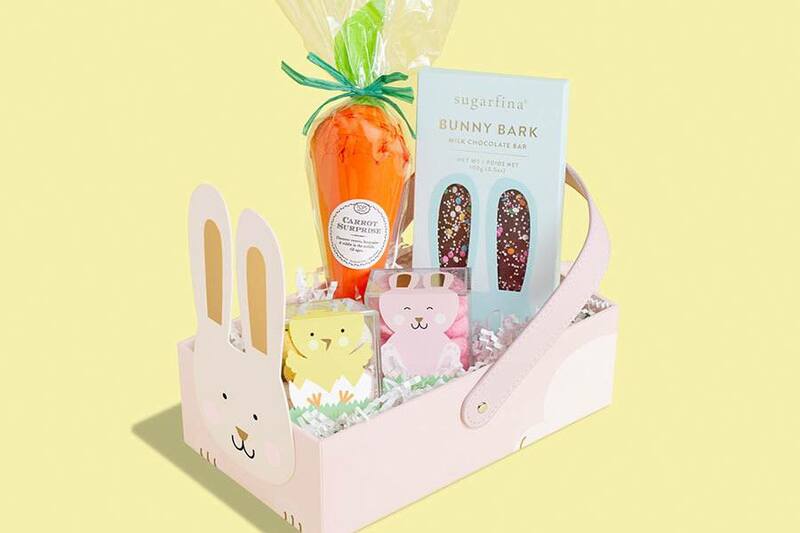 Or, gift a specially priced Bunny Basket Bundle, featuring two small Candy Cubes, a Bunny Bark Chocolate Bar, and a Carrot Surprise Cone.